A student should select a major in the Department of Physics and Astronomy if he or she is interested in fundamental questions about the nature of matter and the nature of the universe, or in practical questions of engineering, applied physics, or space science. To be successful, a student should also enjoy mathematics and quantitative reasoning. More than half of the graduating seniors in this department go to graduate school in various disciplines, and many earn PhDs in physics, astronomy, and engineering. Approximately 25 percent enter technical careers directly after graduation. The others pursue careers in teaching, business (often technology-based), management, medicine, and other areas. The department offers several courses of general interest, not intended for majors. These courses are ASTR 101 - Solar System Astronomy ; ASTR 102 - Stars, Galaxies, and the Universe ; ASTR 230 - Astronomy in Culture ; PHYS 105 - Mechanical Physics I ; and PHYS 111 - Fundamental Physics I , PHYS 112 - Fundamental Physics II . To be eligible to graduate with a major in any of the programs of this department, a student is expected to achieve a grade of C– or better in each of the courses offered in the department that are required for the major. There are no exceptions to this policy. Additionally, a student’s cumulative GPA for all courses counted toward the major must be at least 2.00. The Physics and Astronomy Alumni Awards — awarded by the department to those students majoring in physics and astronomy, who, in the opinion of the department, have made the most significant progress in the study of their major subject and the relations of this science to other fields of learning. The Physics and Astronomy Department Founders Award — awarded periodically by the department to a senior who has demonstrated four years of outstanding progress and development of his or her understanding of physics or astronomy. Credit for PHYS 111 will be granted to students who score 4 or 5 on the AP Physics 1 exam or the AP Physics C-Mechanics exam. Credit for PHYS 112 will be granted to students who score 4 or 5 on the AP Physics 2 exam or the AP Physics C-E&M exam. Placement into PHYS 232 without completion of PHYS 131 can sometimes be allowed following discussion with the department chair and the PHYS 232 instructor. Department majors who do not complete PHYS 131 will be required to complete an additional upper-level course to meet the major requirements. Placement out of PHYS 232 or PHYS 233 based on high school courses (including AP) is not normally possible. To qualify for graduation with honors, physics and astronomy-physics students must complete and defend an honors thesis in the spring of the senior year. Normally, the honors thesis is an extension of the work completed in the capstone course PHYS 410 in which the results are written more formally and placed more carefully in the context of existing research. At the discretion of the adviser, an alternate form of the thesis is a manuscript submitted for publication in a journal. The option of an honors thesis is by invitation only; qualified students who perform exceptionally well in PHYS 410 are invited by the department chair, in consultation with department members, to try for honors. The thesis and defense are evaluated by department members and an external examiner to determine whether either honors or high honors will be awarded. In addition to the honors thesis, students must enroll in two additional upper-level physics or astronomy courses (300 or 400 level) beyond those needed to satisfy the basic major requirements. One of these courses may be an independent study course in which the PHYS 410 research project is extended and advanced. A GPA of at least 3.33 must be achieved in all upper-level courses required for honors. Transfer of credit for physics and astronomy courses from other colleges or universities requires approval by the department. In particular, summer courses taken with the expectation of transfer credit must be pre-approved by the department well in advance of enrollment. The department offers two ways to prepare for engineering: major in physics at Colgate and after graduation go to graduate school in engineering, or use one of the combined plans available in the department. 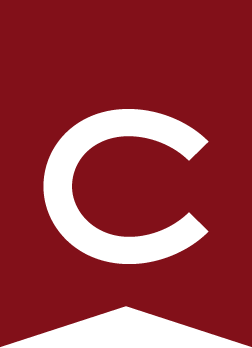 To allow a student to combine education in the liberal arts with engineering training, Colgate has cooperative agreements with Columbia University and Washington University. A student may spend three years at Colgate and two at the engineering school (the 3-2 plan) to earn bachelor’s degrees from both institutions. The student may be eligible to continue study for a master of science (MS) degree, which can sometimes be completed in as little as one additional year after earning the bachelor’s degree in engineering. Eligibility for the MS program is determined by the engineering school. It is imperative for students interested in the 3-2 plan to begin the physics and math curriculum in the fall term of the first year. To be eligible for the 3-2 plan, a student must complete all physics major courses through PHYS 336 and PHYS 431 (or PHYS 451 ), plus one other upper-level physics course to be chosen in consultation with the pre-engineering adviser. Prerequisites for admission to engineering schools vary among schools and fields of study; therefore, it is necessary to indicate an interest in pre-engineering to the physics faculty as soon as possible. Students intending to pursue graduate studies in physics, astronomy, or engineering should discuss their plans with their major advisers as early as possible. Students who wish to prepare for graduate studies in physics or astronomy should complete PHYS 431 , PHYS 432 , PHYS 433 and PHYS 434 . To enrich the program, a student should choose additional physics and astronomy electives at the 300 and 400 levels. Advanced courses in other science departments, especially mathematics, are also encouraged. ASTR 165 - How Old is the Universe?